Vicky Kaushal's URI Gets A B-Town Thumbs Up! 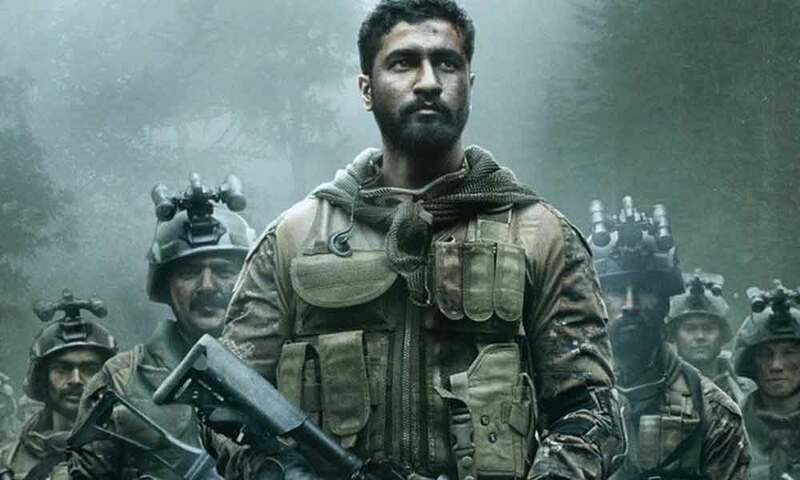 Home BOLLYWOOD Vicky Kaushal’s URI Gets A B-Town Thumbs Up! Vicky Kaushal’s URI Gets A B-Town Thumbs Up! The recently released trailer of RSVP’s upcoming war film ‘URI’ starring Vicky Kaushal has received a roaring response from all quarters. Not just the audience but also Bollywood celebrities have been hailing the power-packed performance of the actor and the hard-hitting storyline. It’s for the first time that Vicky Kaushal is seen in an all-out action avatar going all guns out and screaming his lungs out by mouthing hard-hitting dialogues. Bollywood celebrities like Alia Bhatt, Aanand L Rai, Anupam Kher, Rakul Preet, Mohit Suri amongst others gave a thumbs up to the trailer. Anupam Kher said “Loved it. Jai Ho”. Vicky Kaushal will be seen donning the avatar of an army commando who heads the surgical strike in Uri. Based on Indian Army’s surgical strikes on terror launch pads across Line of Control (LoC), UR traces one of the most significant events of the history of the Indian army. On September 18, 2016, 19 Indian soldiers were killed in an early morning attack by Pakistani terrorists at the 12 Infantry Brigade headquarters in Uri. In response, on September 29, the Indian Army’s Special Forces carried out surgical strikes on terror launch pads across Line of Control (LoC). The teaser featured Vicky Kaushal in a revengeful avatar to avenge the death of his friend and fellow soldiers that laid their lives in the Pakistani terrorist attack. The power-packed trailer evokes a strong patriotic sentiment amongst the audience based against the backdrop of true events. Next articleURI Trailer Crosses 20 Million Views!